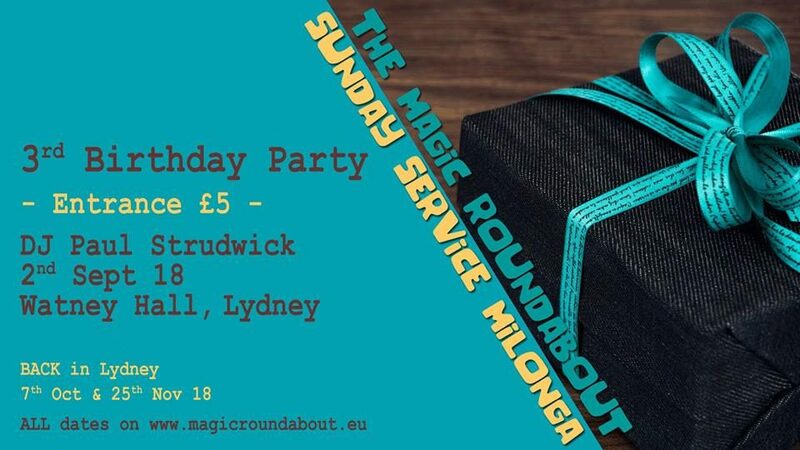 We had a great Sunday Service 3rd birthday party party in September. We don’t really have an excuse for October but we’re going to do it again! 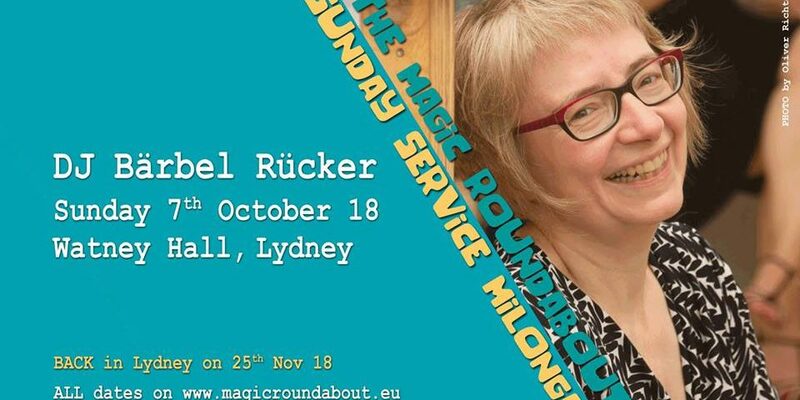 DJ Bärbel Rücker will be taking care of the music so you know you’re in safe hands, after all, she has played over 500 DJ sets in 108 cities in 23 different countries! 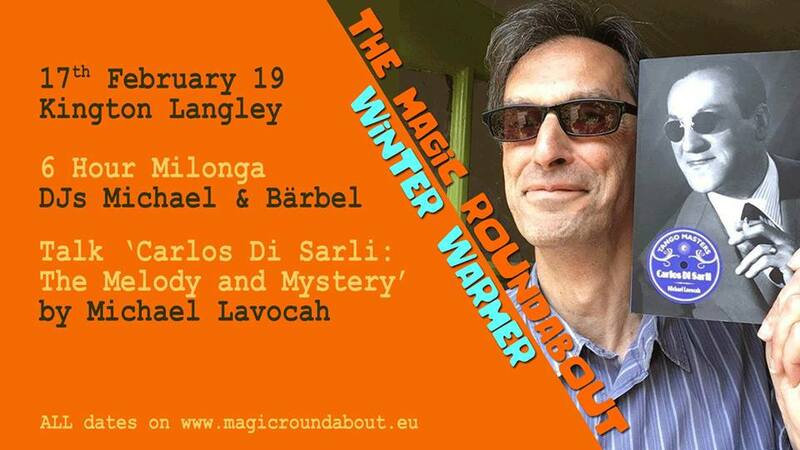 The Magic Roundabout Tango Marketplace will be there too. Take the chance to buy and sell preloved tango clothes, shoes, cds, indeed anything tango related. 1.30pm to 2.00pm – free guided practica. Take advantage of Bärbel’s teaching experience for free! 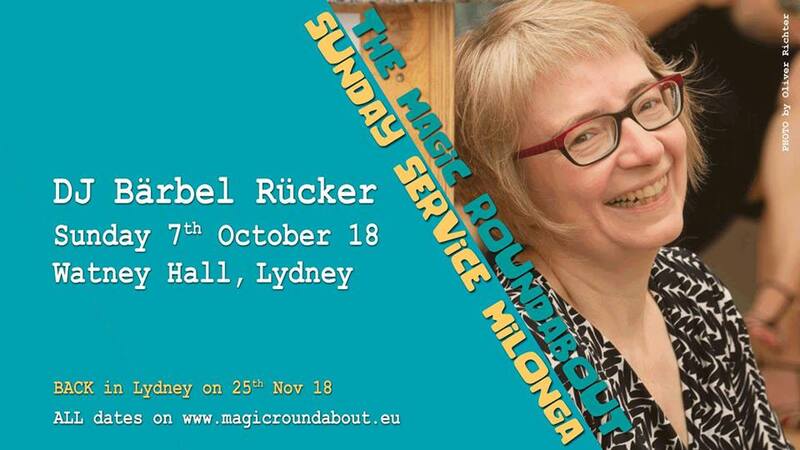 2.00pm to 6.00pm – traditional milonga with international DJ Bärbel Rücker. Free cream tea included (please let us know if you have intolerances and we will do our best to provide an alternative). Reclaim the Severn Bridge toll – share a car between 2 or more and bring us the receipt (press the ‘receipt’ button if paying by card). 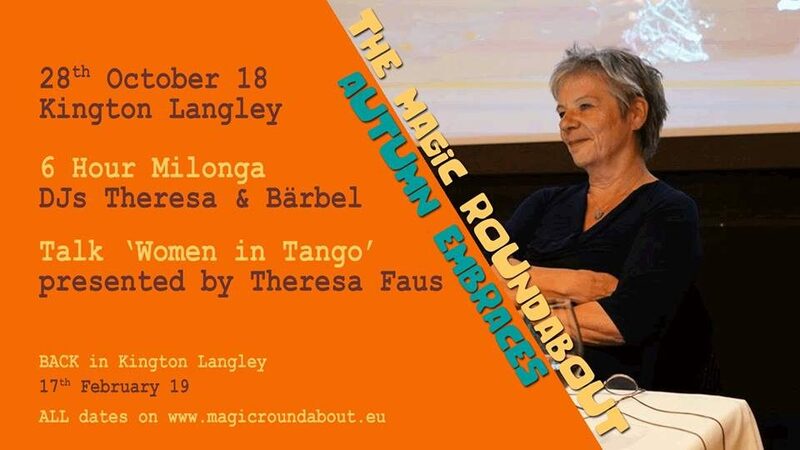 The price for the Sunday Service milonga is £10 payable on the door. There is a licensed bar downstairs at 3 Hill Street. There is free parking on site or in the public car park behind the library. You will find 3 Hill Street opposite the fire station in Lydney.